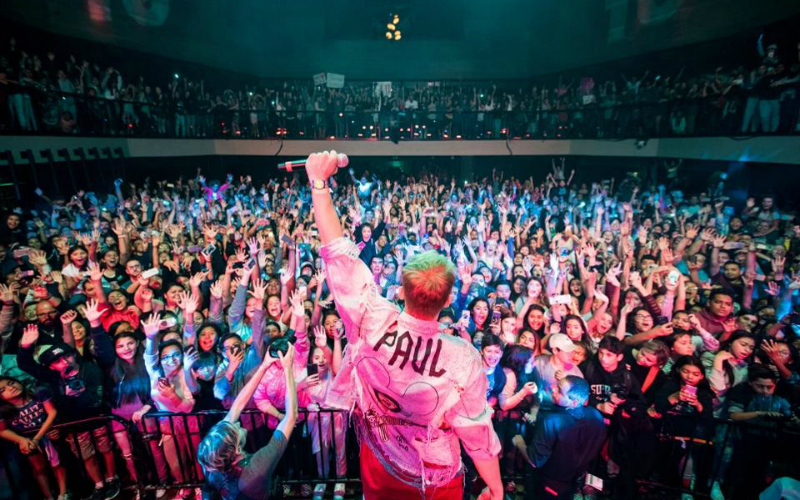 Home The Entertainment Industry YouTube Mega-Star Jake Paul Is Hosting a Crazy Pop-Up in L.A. Think back, if you will, to the days of Vine. It was 2013, a simpler time, when stars arose just by making often-silly looping videos of themselves for the Twitter-owned app. The greatest of these stars was Jake Paul. Paul amassed a vast audience on the platform, which he then transitioned to YouTube with Vine’s demise. He has since parlayed that following (over 12 million subscribers to his YouTube channel alone) into a cable television gig, a pop music career, the launch of a social media corporation, Team 10, and at the age of 20, the purchase of a nearly-$7 million mansion in Calabasas. He is the kind of celebrity that can only come from the internet, and the people of the internet—or, a certain subset of them, anyway—adore him. Should you doubt the power of his appeal, we defy you to turn out to for the IRL pop-up he will be hosting in L.A. this weekend. A 6,000-square-foot Arts District warehouse will be transformed into a Jake Paul-fan fever dream, complete with limited edition merchandise to buy, larger-than-life video walls playing his music videos on repeat, an “Instagram activation,” an exhibit of Paul’s personal collection of cars, and, of course, meet-and-greets with Paul and his crew. And if you’re wondering if this is actually a big deal, it’s worth noting that, the last time Jake Paul announced a surprise public appearance, it required the literal shutting down of multiple city blocks—and that one didn’t even have an Instagram activation. The Jake Paul x Team 10 Pop-Up Shop runs December 1 to 3 at 1451 East 4th Street, Los Angeles. The space will be open 1 p.m. to 9 p.m. on Friday and 11 a.m. to 7 p.m. on Saturday and Sunday. “Salt Bae” Is Bringing His Internet Meme Meat Empire to L.A.